Only about a month to go until the doors to the holy temple are opened again. New doors and bigger temple this year. YAY! As in past years, this list is a "radar screen. Until Essen I will add games that sparked my interest in one way or the other as not to overlook them in Essen. Most will be to take a look at or even better take a playing with. Surely, my buy-list will most likely be sparked by titles here but I am also looking at games that sound intruiging to be reviewed in the FAIRPLAY. Any comments, hints, suggestions and teasers from my fellow geeks are welcome as I fine-tune the list. List is sorted alphabetically - hey, we did downsize at halls so I rather keep it simple. Update 30.10.: back from Essen I added comments to the games we tried out at or around the fair and also marked those that found their way into my bags. Points of interest: Cooperative (anti-)war game. There have been different games from Polish authors covering World War II with lighter game thematics. 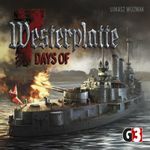 I still doubt that German authors would have luck publishing such a game and as such am very interesting in the way this most serious theme is covered in a boardgame. 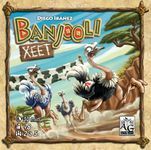 Note: Had the rules explained to us on 24 Oct and the game sounds really good and not so overburdened as other Feld games. You can sail, build outposts, colonize islands and receive goods, enhance goods multiplier, build cannons to defend against the deterministic pirates or work on your turn order. Thematically sound. 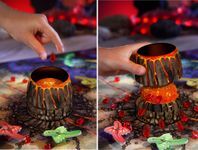 The dice tower adds the uncertainty of what actions are available each turn and to what extent. Like to find out how this plays, although I am still on the verge of buying - based on what I know. What was tha about impulse buys without prior plays?? Almost had this on my list prior to the fair but opted against it purely to restrain myself. This is all nicely interwoven but we had some problems with the rulebook. There were some ambiguities regarding some building powers. Also some timing issues regarding the personality cards you aquire. There is an interesting but not too short game here - in our initial game Mick's tactics on focussing on aquiring personality cards first seemmed pretty powerful. Not only to you gain quite some immediate VP for these but also the special powers for your workers. We cancelled the game halfway through and after 90+ minutes playing time. If the game was playable at 90 minutes I'll gladly play again but anything longer would just lead to pain. Was mir gar nicht bekannt war: heute erscheint der neueste Asterix Comic - erstmals aus komplett fremder Feder. Wird in den heutigen Nachrichten hoch gelobt. Also so etwas sollte auf dem Comic-Teil der Messe doch zu bekommen sein, oder? Points of interest: You are a wizard predicting the outcome of racing ostriches.. Fast paced dice rolling racing game with bluffing? Note: Just received the message that the Startnext campaign was successful. Really looking forward to the game as I am eager to find out how challenging and fun the gameplay will be. At the very least, I get nice wooden toys for any children visiting. Points of interest: Graphics of Pearl games are always special and the gameplay is usually, too. So lets check this out. Note: Graphics are for sure special , wheweeee... Played this on 26 Oct with Ele, Mick, Michael and Nils following a game of ARCHON. Was quite an eye-popping afternoon. That was too much for me to take in, but mot for Nils it seemed. He concentrated on painting paintings and steadily increased his vp-multiplier for game end while also managing to score some ingame vp. His endgame scoring was more than I had managed to score during the whole game. Ele fared good with increasing vp-multiplier for end of round scoring. I had some sour spots here, as I had built some houses falling out of most of the (variable) action grid thus rendering them a little useless. Would probably play again if asked but neither request to play nor buy it as it did not light a spark for me. Points of interest: a new small dice game from Wattsalpoag. There cannot be enough small fun dice games so lets check if this is one of them. Played this for a first time on 1 Nov with Silke and Tobias. Is a fast and shallow (pun intended) dice game with not many decisions in its base form. You throw dice in order to roll score a double or a triple and can usually only re-roll once. A double moves you one spot in the corresponding column, a triple lets you move directly to the final spot in the column. Once there you need to roll a triple of that number again to score a treasure chest and move back to the beginning of that column. However, while also there you enjoy a bonus (either an additional die, an additional reroll or a +/-1 modifier to one die). Three treasures win you the game. There is a rule to mitigate some bad luck as you can move a special pawn if you did not roll at least one double. 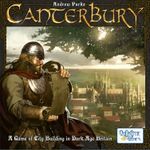 Points of interest: Medieval city building which looks pretty well / area control and area influence sound good, too. Note: hey, rules are simpler than feared. Area control is the key here - erecting buildings in the right districts in order to gain majorities with the services they offer. This twist from simple majorities soley through the buildings themselves sounds interesting. Did not find it on display to play, only to buy. That I did not do. 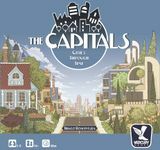 Points of interest: City building 2.0 - seemingly complex and involved. Need to take a thourough look at this. Note: when we checked the booth, there was no THE CAPITALS to be seen to play or buy. Did not check regularly as enough different games waiting in line. Points of interest: played a prototype 2-3 years ago and liked it as I really like AGRICOLA. However, did not see that many differences in order to also get this in addition to AGRICOLA. Want to see the final game and who knows... Its Uwe Rosenberg. Note: Decided that I rather get DIE GLASSTRASSE as it is shorter in gameplay and quite cheaper. Note: The first game we played on Thursady - 2 player against Mick. Easy rules: you build fields around different haciendas on the board. Once a hacienda is completely surrounded by fields, it scores victory points according to majority in the size of the fields surrounding. Your turn consists of either withdrawing one of your pawns from a field on the board in order to score victory points depending on the field size and also earn money. Or you spend money to buy new fields - here is a clever mechanism in that you can only buy a complete row or column from the open market. This is actually all the rules leading to a pretty deep gameplay as you want to build fields such that they can score with two or more haciendas. Also you always need some small fields just to harvest for money. However, I quickly had the problem of correctly judging my options due to the sheer possibilities of which fields to expand where. 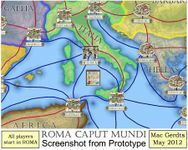 This was hampered due to the colourful layout - the graphics of the game are really fine and transport the theme but did not help me to have a good overview about what is going on. As with many such games, I think 2-3 players would be optimal player count as you can still plan ahead. With 4-5 players downtime and luck will most likely become too large. We felt strongly reminded of HACIENDA, which surely plays differently but manages to present the tile-laying aspect in a little lighter way for us. 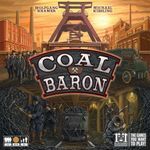 Points of interest: Coal mining in a game from the Grand Master himself. Want to try this game. Note: rules are not difficult - you are aiming at set collecting and efficient use of your workers and the resulting actions. I was a bit surprised about the multiple scoring options in each of the three scoring rounds. Turned me off a bit as I had hoped for some deeper connection with coal mining than collecting different coloured cubes. Ok, did not turn me off enough not to buy it. I am a child of the coal mining area so this game kept itching my buying impulse. Had the luck to get an autograph from Michael Kiesling while buying today. Did not play it yet. - take all played cards back on your hand and receive money for doing so, depending on cards played. This is it and you do so to achieve victory point multipliers for the end game scoring. Each card features a Roman god and as such lends a multiplier to one of the six different scoring options: different goods you can produce, number of colonists, number of regions in which you build, money, specialized buildings. 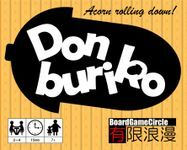 The cleverness lies in the concentration of some key scoring options, trying to increase the corresponding cards and the features on the board. Easy rules, complex game which yields different strategies. Might be a bit long - we terminated the game after 2 hours 2/3 through. Played with Ele, Mick, Nils on 25 Oct. 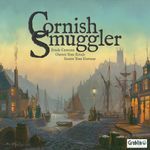 Points of interest: intersting theme with smuggling in Cornwall. Also like the "minimalistic" playing board. Note: Did not take time to check this. Mick bought this. 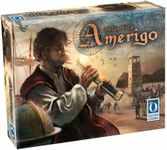 Points of interest: The BGG item lists a bunch of mechanisms and the board looks interesting. Note: Did not take time to check this. Ele bought it. 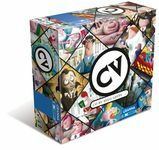 Points of interest: graphics, dice game for building up your CV. Notes: Did not have this on my list prior to Essen and learned about it from Ele and Mick on Sunday. Watched their two player game (Ele had played before) and as the liked the game, I went forward and made my blind purchase. Graphics are just great, being reminiscent of a Tim Burton style. - fulfilling your individual lifetime goal as well as open goals to all players. Played this the first time on 1 Nov with Silke and Tobias and we had fun even though it seemed frustrating at some points. We sometimes had the feeling of "rich getting richer" as I was able to snug some good cards early on and at times had quite a bunch of bonus symbols to work with. However, this did not lead to my victory (could tell something about my gameplay I guess...) as Silke managed to snag more in game victory cards. I really enjoyed the game - 45 minutes is about the right length and it is fun to see your alternate CV evolve - especially coupled with such graphics. Note: is it only me thinking of Burritos and mexican food rather than japanese acorns? Ok, with Japon brand located only three booths away from Fairplay, I made the early morning stop and grabbed this together with Sails to India. 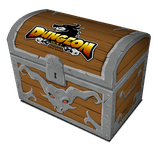 Points of interest: Dice game, push your luck and a fantasy, dungeon theme. Followed the Kickstarter a bit but am not sure if this game is what I expect it to be. So best try out. Note: is that it??? This sounds bland even for a silly and fast dice game... If I want to roll dice without the slightest meaning/option/bluff, you name it, I just grab a handful of d6. Now I remember why I did not follow the KS campaign any futher. Everyone is invited to follow our annual Scout action on the fair. Thursday evening, Friday morning gives a first good indication of games of interest to fellow gamers. - Mascarade (a new Bruno Faidutti card-game with lots of interaction)--> tells me I need to add it to my list, too. I'll try to make some comparisons to the intermediate Scout lists on Thursday and Friday night and am curious to see how good I am guessing the final list of Sunday. Points of interest: Beautiful components, maybe with a fun game for grown-ups, too? Note: completely missed checking out HABA this year. Points of interest: Trick taking game by Friedeman Friese. The green-haired guy is always worth a visit. Description sounds like easy gameplay that could lead to tough decisions, whether to take over a trick or to discard ones lowest card. Note: Played this on 26 Oct with Ele, Mick, Michael and Nils. A neat little trick taking game where you have to read and judge the hands of your opponents as you do not want to win the 7th and last trick of a round. So it would be best to keep your lowest valued card (values 1 to 15) for the last trick. However, in each preceding trick you either have to play a card of equal or higher value than the currently highest card or you are forced to discard your lowest card. not much to influence, so more a game of the likes of 6nimmt! but still quite some fun. Only drawback for some of us was the player elimination as you could actually be kicked out of the game in the first round. This could be circumvented with playing a fixed number of turns, though. Points of interest: Group howling wolves that wear underpants. Although currently not on the lookout for single 2-player games this sounds fun but challenging to interest my wife into a game. Note: Neat little game which can be over after only a couple rounds if you listen to your gut rather than your brain. Could be AP prone if you try to calculate 2-3 moves ahead. Plays nicely but we were unsure about the right audience for this game. Is there one for a ten-minute-brain burner? Unfortunately I am not a member of it. Played with Nils on 25 oct.